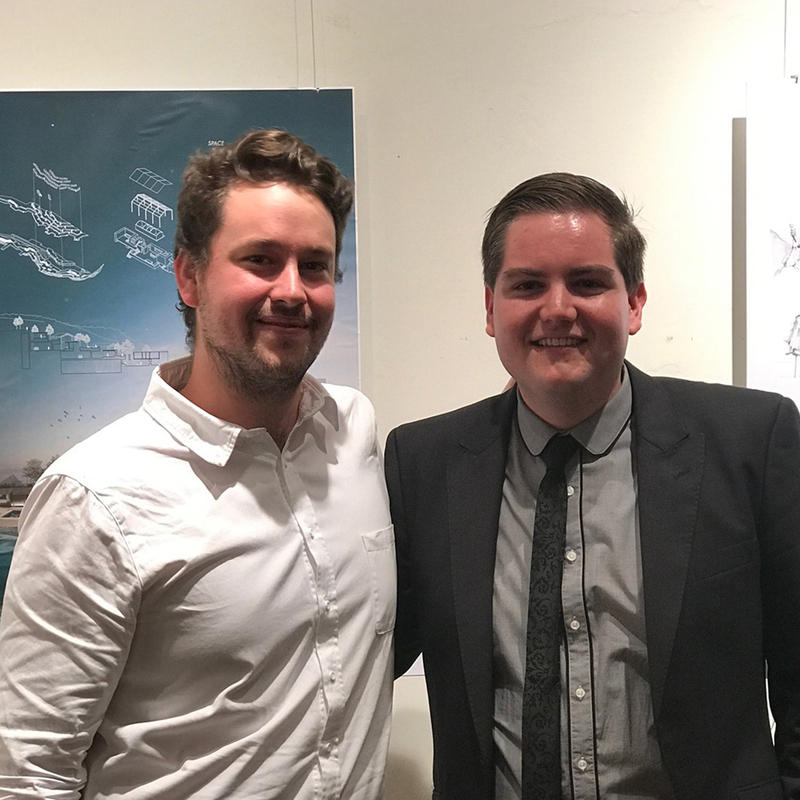 UON graduates have starred at 2017 Australian Institute of Architects' NSW Graduate and Student Awards, taking out two of the most prestigious honours. 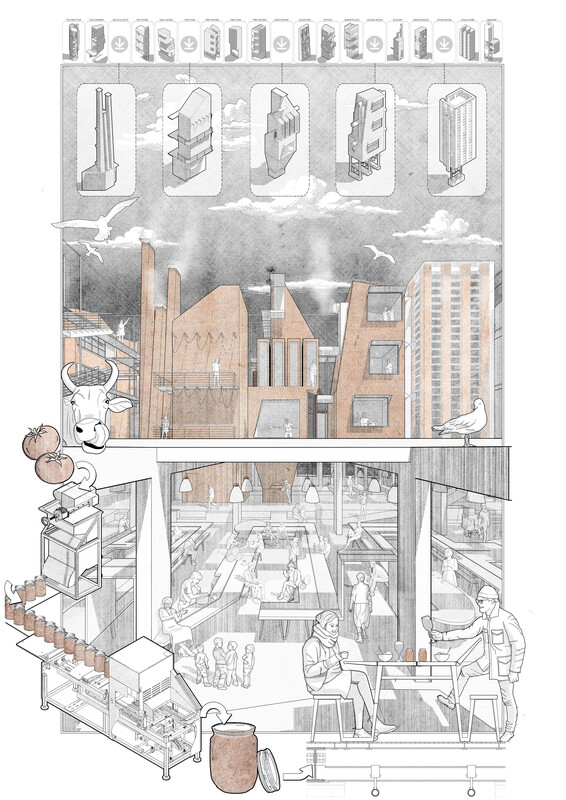 The highest state level award for an architecture graduate, the NSW Design Medal, was awarded to James Ellis for his project The Plant - a public food factory reclaiming Newcastle’s corporation baths and pivoting the city towards its industrial past. Brendan Boyle was named runner's up in the same category. UON Head of discipline (Architecture) Chris Tucker said it was an outstanding result for the School of Architecture. Established to acknowledge excellence in architectural scholarship, the annual NSW Graduate & Student Awards showcase the top student work across the four architecture programs in NSW – the University of Newcastle, the University of Sydney, University of New South Wales and University of Technology, Sydney. The Award categories include the NSW Design Medal, First Degree Design Award, Architectural Technologies Award and the Architectural Communication Award. Can you tell me briefly what your project is about? The Plant is a public food factory reclaiming Newcastle’s corporation baths and pivoting the city towards its industrial past. The project critiques the development of generic cities and the food that inhabits them by re-imagining the typology of the industrial factory. A small, urban, ornate, iconic and public factory: in opposition to the values of industrial food and architecture. Through the emerging shared economy that prioritises access over ownership the factory is democratised and a public facility born. Previously exclusive to the wealthy, the factory disrupts the generic city to create a space that is inclusive, dynamic and most importantly: public. How did you select your project’s focus? The project is born from two things. The first being a rejection towards industrial food and secondly a reaction against the private and generic cities we are building today. The project develops, changes and is refined from the architectural process from concept design to construction documentation informing the year-long interrogation into the projects circumstance. I also had a desire for the project to be relevant to our current condition of being tied to the mobile phone. What were the outcomes/conclusions you made on completion of your project? The project challenged the way we think about public space/buildings and infrastructure applying the normal architectural practices of an art gallery or museum to the factory typology. The project moves past the romantic idea of food in our cities instead pushing food and making back into our consciousness, which at times is confronting. Were there any surprising revelations/findings as a result of your project? Through the research process it became clear how stale, ineffective and non-inclusive our public spaces are and the increasing importance of these spaces as our cities grow The project also begins to outline a position or role for architecture in the food problems of today as well as how our buildings might look in the age of the shared economy. It was also surprising how hard it is to design a working abattoir in the middle of a public building. How could the information you collected be used? The information collected is part of a train of thought throughout my masters degree investigating food, cities and architecture. I hope to use this as a platform to do further practice based research in the future. What prompted you to study a Masters of Architecture at UON? The tight-knit community and personal relationships that form in the studio between students, teachers and five amazing professors. What are your career goals and ambitions? Currently I'm happy learning how to put buildings together beautifully. But long term: starting a practice that sits between the worlds of food and architecture.